Toronto is a bustling, clean, vibrant city with a youthful vibe and lots to offer a traveler. 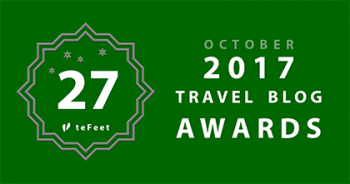 From inexpensive hostels to free activities, events, and festivals Toronto offers the world to its visitors. A multi-cultural city edged with that Canadian politeness Toronto is a place that all Canadians gravitate to for theatre, restaurants, and tons of fun alongside the usual cultural aura of museums and historic places. Can you imagine it? 30,000 pairs of shoes and culturally related artifacts that display the history of footwear and shoemaking from around the world. This Museum spans over 4, 500 years of world history. 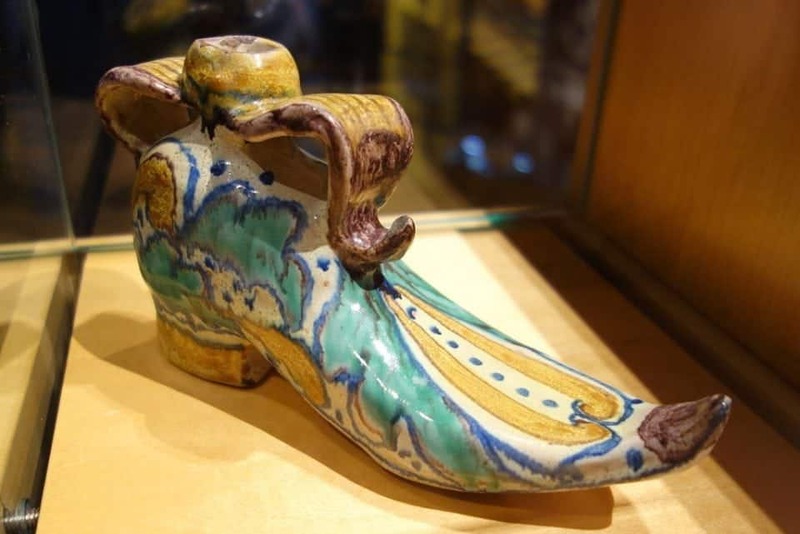 This remarkable collection contains pieces and artifacts from almost every culture in the world, shoes made from human hair, delicate Chinese silk shoes, Samurai shoes and it also showcases some of the most preeminent shoe designers from around the world. All in all if you are history, culture and shoe obsessed this is one museum in Toronto that is a must. 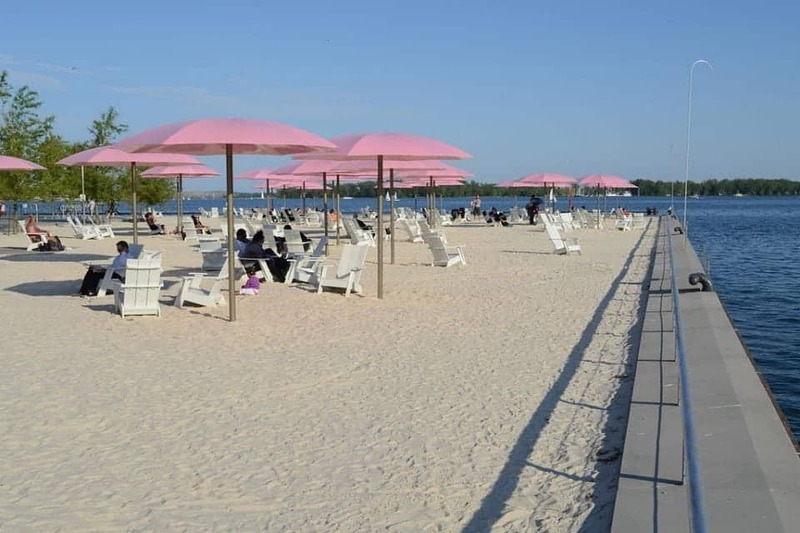 Located next door to the Redpath Sugar Refinery Museum this lovely urban beach sits right at the water’s edge of Toronto. Canadians love their beaches and here at Sugar beach you can while away the day soaking up the rays reading or boat watching on the Lake. There is a cool water feature embedded in a giant granite maple leaf for when you need to cool off. The beach hosts a ton of special events throughout the year and is a great place to simply relax and hang out for the day. About 10 years ago, this little corner of Toronto was deeply neglected and run down. There was a collection of Victorian industrial buildings that had been pronounced a national historic site and begged for refurbishment. Today Toronto’s Distillery District is a highlight of any visit to Toronto. It almost feels like you have stepped back in time and could see horse drawn carts on the road but the District has fused the old with the modern and created an inspired space for one of a kind shops, great cafes and restaurants, galleries, theatres and so much more. Today the Distillery District is home to an incredibly vibrant arts and culture scene, a phenomenal Christmas Market in season and so much more. 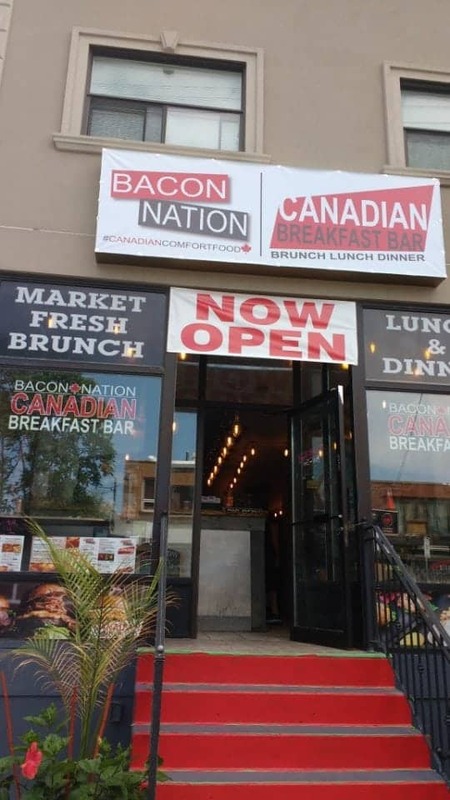 Kensington Market is not so much a market but a collection of funky, diverse independent shops, restaurants, cafes and out of the ordinary experiences. Located in the heart of Toronto, Kensington Market is a vibrant eclectic area where you can shop for gourmet goodies, have some of Canada’s favourite food – bacon, at Bacon Nation, enjoy the best pizza in Toronto, shop for vintage clothes at Courage my Love or simply wander the streets checking out the international and gourmet food shops. 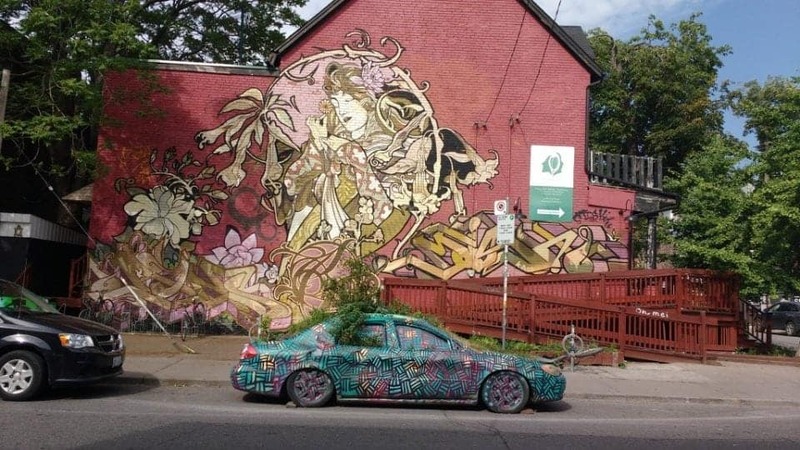 Just around the corner from the Market, don’t forget to check out Toronto’s Graffiti Alley. It runs about a kilometre long, and is one beautiful, creative piece of art after another, each adding a unique touch to an ever-evolving Toronto. I love the St Lawrence Market in Toronto, Canada it is a bustling modern day market that is now the best place for a foodie to hang out at. 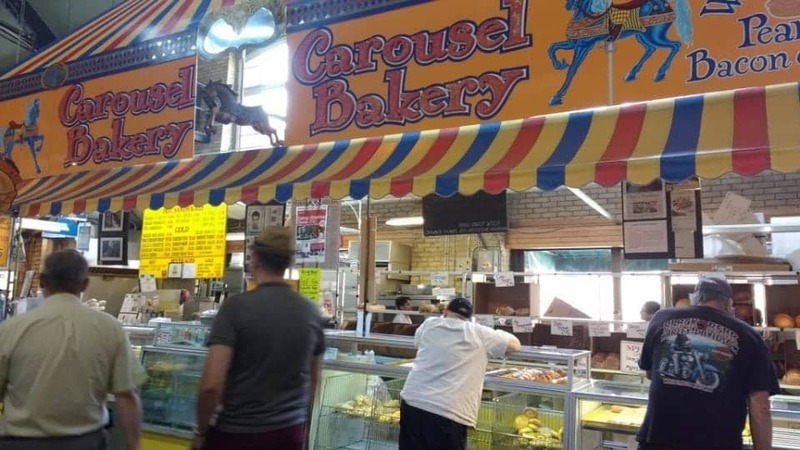 The Market contains food vendors that sell incredible Montreal style bagels, fresh Canadian cheeses, beans, grains and pulses – pretty much anything, a foodie could want for that perfect recipe. Oh and the food vendors will keep you fed for hours. 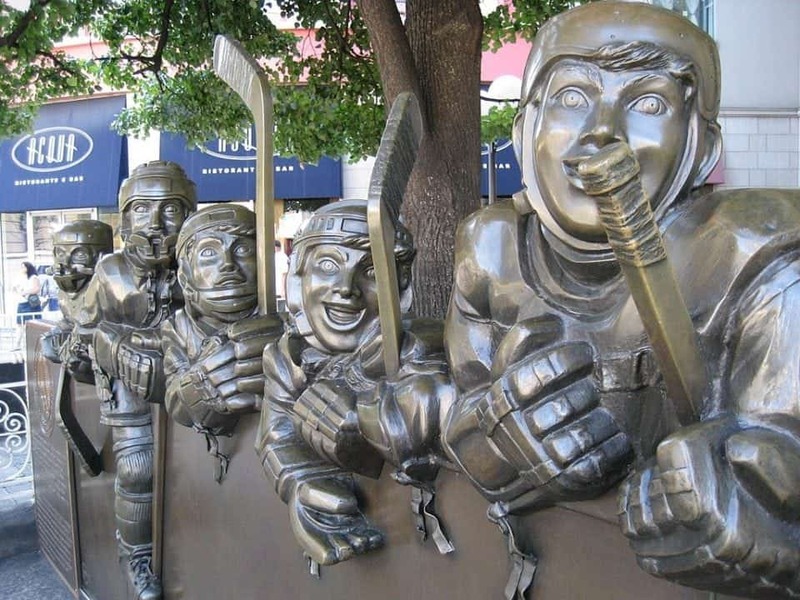 Well it wouldn’t be Canada without the Hockey Hall of Fame. Celebrating 25 years in its location in the heart of Toronto near the St. Lawrence Market, the Hockey Hall of Fame celebrates Canada’s Game with exhibits, display and the history of the sport. You can see the Stanley Cup when it comes home displayed here and many a hockey heroes’ game winning sticks and pucks. It you want to feel the true spirit of Canada’s game the Hall is a must visit. 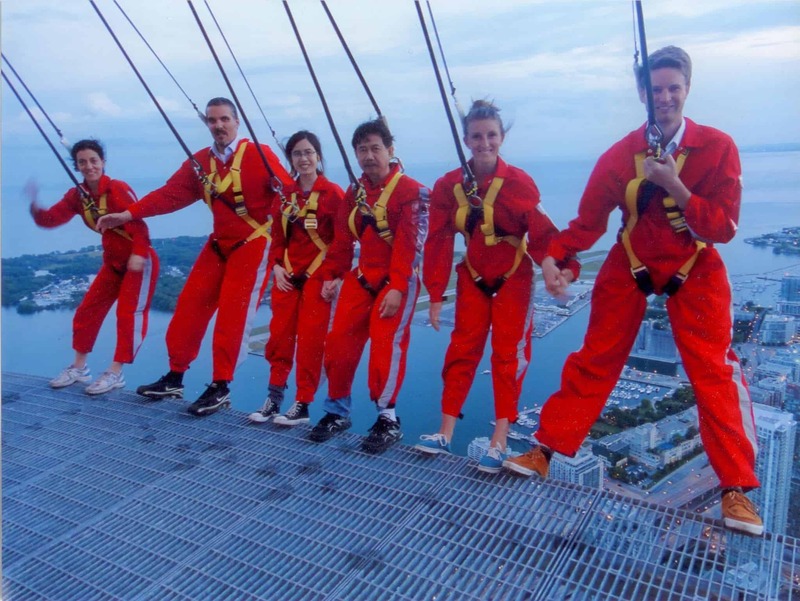 An adrenalin junkies dream, the world’s highest hands free external walk on a building. Walk around on a 5-foot wide ledge circling the top of the Tower, which is 116 stories above the sidewalk. It’s expensive at $225 but you get video, printed photos and access to LookOut, Glass Floor and SkyPod levels, informational displays and more. An experience you won’t live to regret. If you’d like to read more about this experience check out Cat and Kevin’s blog Fortwoplz where they have a great article on CN Tower Living on the Edge. Canada’s theme park with some of the most amazing coasters in the world thrills galore, a gorgeous water park with splash zones, super slides and more. A brilliant way for the family to spend a glorious sunny day. 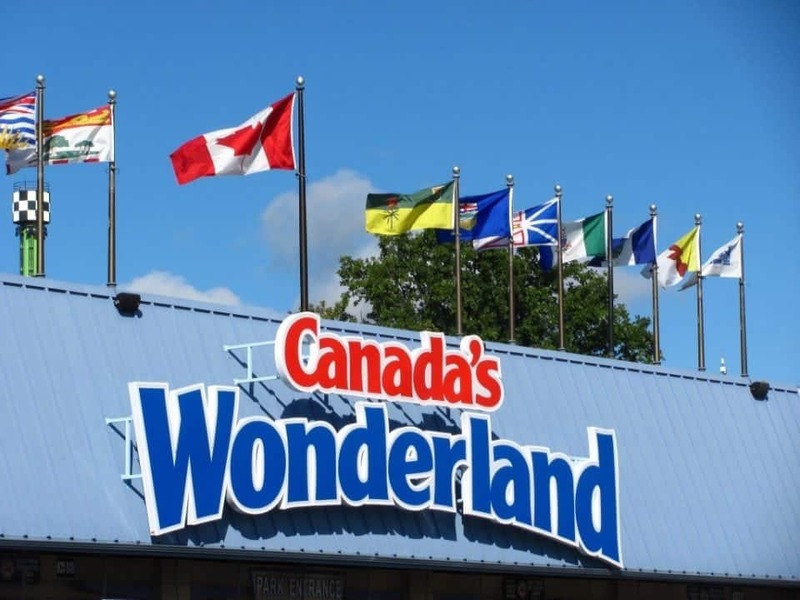 Canada’s Wonderland is always introducing new rides and activities for the whole family. The Island as Torontonians call it is located is located in Lake Ontario, a 13-minute ferry ride from downtown Toronto. The Island is actually a group of 15 islands inter-connected by pathways and bridges. You can walk from one end of the Island to the other. Great beaches, a short ferry ride from the bustling city the Island is an oasis for families and those looking to get away from civilization for a few hours. 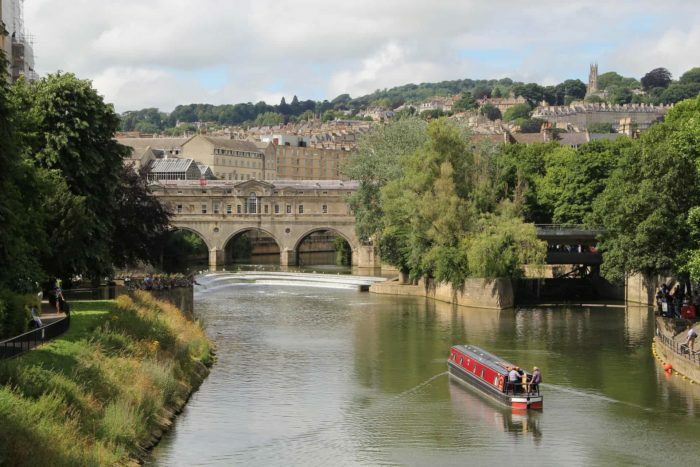 Loads of things to do from bike rentals, tours, and little cafes to people watch. The Island is also home to Toronto’s only clothing optional beach. Sports faculties such as canoe and kayak rentals, a theatre, and amusement park for the kids. For more fantastic information on spending time on the Island with kids check out Jody’s post Family Fun on Toronto Island, loads of tips and ideas for a great family day out. Yes, Toronto has a castle. 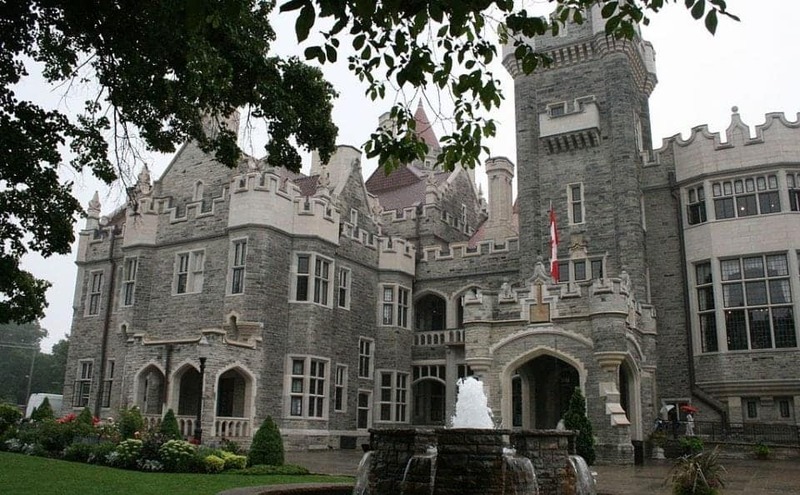 Built in the late 1800’s by Sir Henry Pellatt, Casa Loma took three years and $3.5 million to build. It is filled with artwork from Canada and around the world. Casa Loma’s soaring battlements, secret passageways and glorious gardens is Sir Henry’s nod to the romanticism of days gone by. 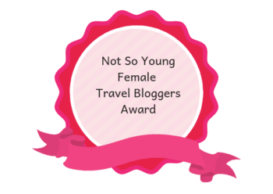 You can tour the house and gardens or even host your wedding there. Casa Loma makes a great day trip from the Hustle of the city. A mere 11 top things to do in Toronto doesn’t begin to cover the exciting and virtually unlimited activities available in this young and on trend city. If you want to explore further than Toronto you can’t go wrong with a brilliant trip to the Kawartha Lakes this area is just east of Toronto but it cannot be beaten for the pure bliss of lakes, waterways, countryside and stupendous views. 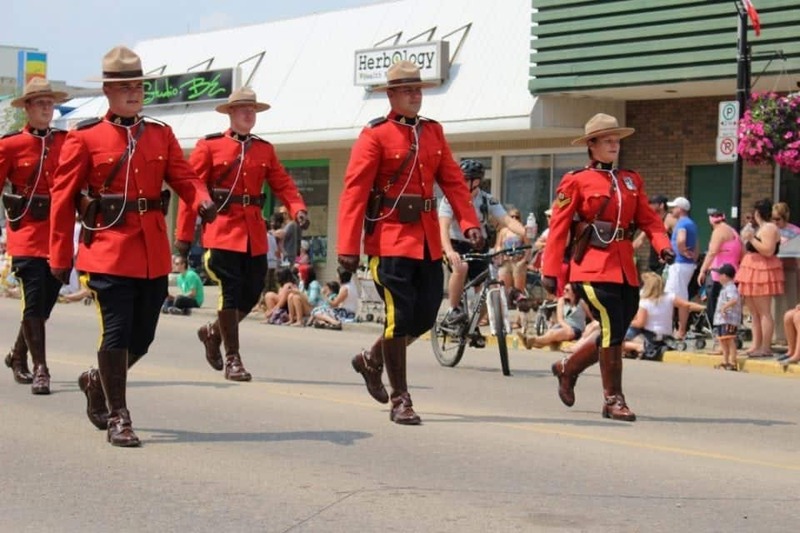 Check out Michele’s article 21 Amazing Things to Do in Kawartha Lakes – it’s a trip you can’t miss when in Canada. Do you love Toronto? What’s your favourite thing to do in the city?